Looking for a bookkeeping job? If you're looking for a job that will let you put your accounting skills to work, you need to spend some time researching the types of companies that employ bookkeepers. Every business, no matter how large or small, must complete bookkeeping tasks. All companies have to maintain accurate and current financial records. Some small business owners handle their own bookkeeping, but many hire professional bookkeepers to take care of their financial records. Some organizations hire in-house bookkeeping professionals, while others outsource bookkeeping responsibilities to companies that specialize in providing these types of services. Many medium to large companies hire full time bookkeepers to staff their accounting departments. Some companies hire one person to handle all bookkeeping duties. However, large companies and smaller businesses with high volumes of financial transactions often hire different people to handle various aspects of the bookkeeping process. Organizations with several employees in the bookkeeping department typically divide duties into payables and receivables functions. Certified Public Accountant (CPA) firms, bookkeeping services, and tax services frequently hire individuals with bookkeeping skills to meet the needs of their clients. Individuals who work in these types of organizations perform a wide variety of services, including data entry, bank statement reconciliation, tax form preparation, payroll processing, and financial documentation. All types of businesses need assistance from individuals with bookkeeping skills, whether they choose to hire staff members or contract with third party service providers. Some of the many different types of companies that employ bookkeepers are listed below. Colleges and universities have bookkeeping professionals on staff who are responsible for handling tuition charges to student accounts, applying financial aid and scholarship payments, posting cash payments, and more. Bookkeepers who work for colleges and universities are often responsible for disbursing internal scholarships to students, administering work-study programs and funding, and monitoring how research grant funds are administered. All types of governmental agencies, including city, county, state, and federal, hire people to perform bookkeeping services. The types of skills necessary vary greatly from one agency to another, based on the types of services that organization provides. There are numerous government job opportunities for individuals with skills in billing, collections, posting payments, and calculating taxes or licensure fees. Hospitals, doctor's offices, dentists, and other types of healthcare providers rely on the services of bookkeepers. Bookkeepers who work in healthcare provide a wide variety of tasks, including medical procedure coding, insurance verification, Medicaid billing, private insurance billing, patient invoicing, collections, posting payments, financial reporting, and more. Healthcare providers also have bookkeepers who are responsible for paying invoices and processing payroll checks. Some healthcare providers hire in-house personnel, while others contract with third party bookkeeping services or medical billing companies. Hotels and motels employ individuals who handle the bookkeeping tasks that must be completed on a daily basis. Most hotel chains require daily revenue reporting, so it's vital that each facility have personnel dedicated to keeping account statements up-to-date at all times. Since hotels typically staff their front desks around the clock and bookkeeping reports are due a the end of each day, it's common for them to hire night auditors who perform a combination of desk clerk and bookkeeping responsibilities. At the end of every day, retail stores are responsible for making sure that the day's financial transactions are in balance and recorded appropriately. Independently owned retail stores typically hire an in-house bookkeeper to take care of all aspects of keeping the books straight. 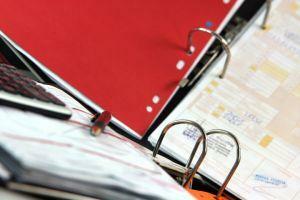 Some choose to contract with a third party provider to handle all bookkeeping responsibilities. Retail stores that are part of a larger chain are often able to rely on their corporate offices to take care of the most complicated tasks, but many bookkeeping functions must still be performed at the store level. When you're looking for employment as a bookkeeper, it's a good idea to check help wanted advertisements and job postings for employers in your local area. Look for job advertisements that mention skills and tasks such as bookkeeping, accounting, payables, receivables, collections, and other duties that often fall under the scope of a company's accounting department. Because skilled bookkeepers are always in demand, it can also be beneficial to register with a reputable and well-connected staffing service in your area. If you're interested in relocating, look up job postings and contact employment services in the area to which you'd like to live. You may also have good results finding job openings on field specific job search engines such as BookkeeperJobs.com and BookkeepingJobs.com.